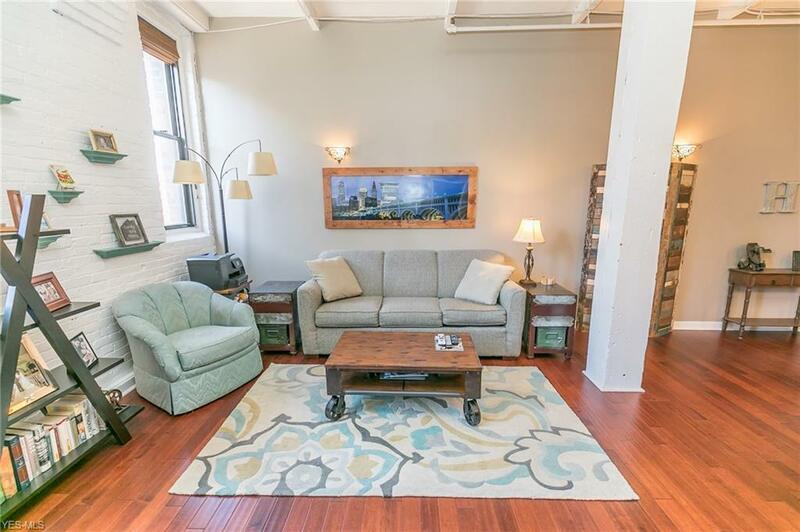 Welcome to the best spot in downtown, this 2 bedroom 2 full bath condo is right in the middle of it all. 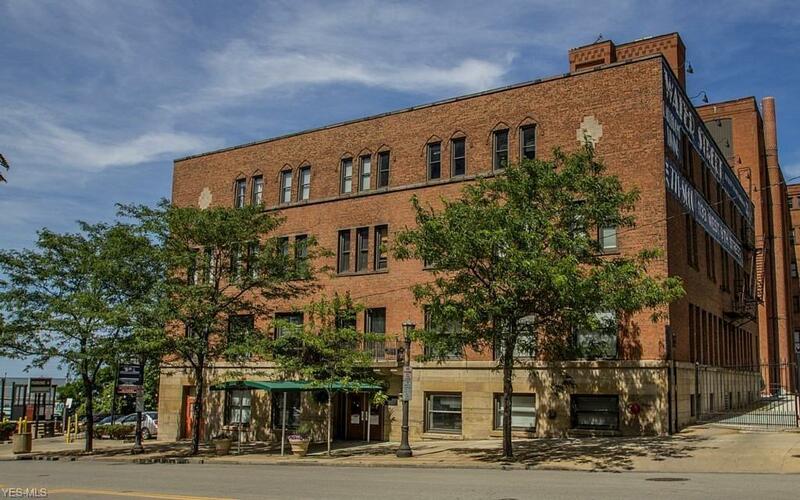 The historic Waterstreet Building sits in the warehouse district in the middle of Cleveland's best bars and restaurants and is just up the hill from all that the East Bank of the Flats has to offer! 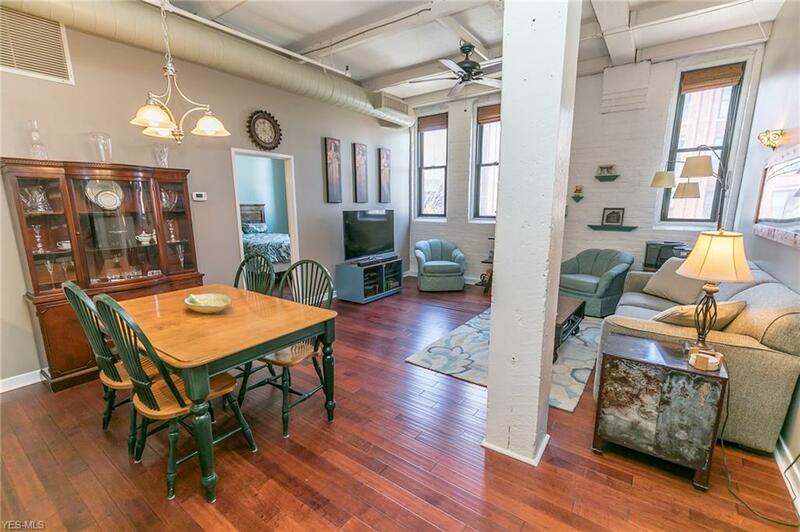 This condo features a bright and open kitchen with granite counters, new brick backsplash, and all stainless steel appliances, including, a brand new microwave. 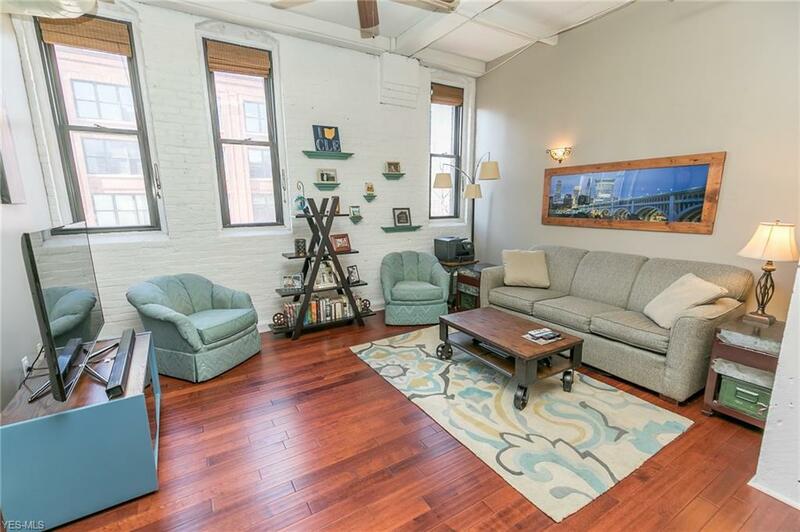 Throughout the unit find hardwood floors, soaring ceilings, and windows that bring in tons of natural light. The tranquil master suite boasts a fully remodeled spa-like bath complete with slate tile floors, marble top vanity, and oversized glass walk-in shower. From tile choices to lighting no detail was overlooked. The in-suite laundry is also conveniently tucked away in the master bath. The spacious guest bedroom welcomes you with custom accent windows giving the room a light and airy feel. Down the hall is the second full bath with newer contemporary light fixture and light tile floors. The building offers a shared rooftop deck with panoramic views of the city and lake as well as a fitness room and bike racks. High-speed internet is included! An attached parking lot is available at an additional cost. Schedule your showing today. Tax abated through the end of the year.